The state is about to hand out report cards on Texas schools and school districts, raising anxiety levels among educators and — once the grades are out — with parents, businesses, politicians and taxpayers. Telling other people’s parents turns out to be harder. That old performance anxiety is still rumbling in their stomachs, topped with a dash of politics. Schools might be the real focal point of government, the place where parents, taxpayers, business and economic development pros, politicians and educators intersect. Assigning grades to schools puts all those people on notice that things are working or not working — or something in between. We don’t really do that in any other part of government — which has to be a relief to the managements of the state’s Health and Human Services Commission or the Texas Alcoholic Beverage Commission. School officials aren’t happy. They say the state’s new A-F grading system doesn’t accurately reflect the work they do in a very complicated enterprise. Here’s betting that school districts that get “A’s” will be crowing like happy roosters by this time next week. That doesn’t mean the critics are wrong, necessarily: This is the same kind of high-stakes accountability that riled everybody about standardized tests for students. Legislators first approved the A-F system in 2015 before tweaking it last year; some are hedging their bets a bit now that the grades are about to come out by noting that the Texas Education Agency, which is implementing the law they passed, is now in charge of the show. But what if it works? What if the state government’s lousy grade for a local school district forces it to talk to parents about fixing things right away? 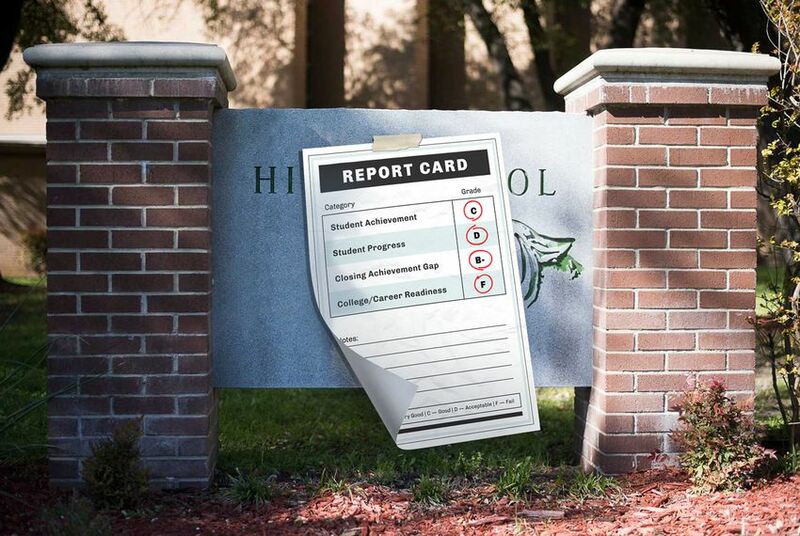 What if these report cards do what report cards are supposed to do, letting the folks know that something isn’t working, prompting those folks to get up and do something about it? According to The Texas Tribune’s Aliyya Swaby, districts are being graded on student achievement, progress and closing the gaps. Individual schools will be on a pass/fail system for another year before going on the A-F regime next August — but they’ll get number grades that can be converted to letter grades by anyone who takes the time to do it. Bet those parents and taxpayers and business and economic development pros and politicians and educators will be fast at that. Everybody’s watching electoral politics — the election is just three months away. But the Legislature will be in town just two months after that, and the school grades will still be a subject of conversation. That conversation, in all likelihood, will be constructed around two questions: What are you doing to improve the worst schools? And why don’t we get rid of this A-F grading system before somebody gets hurt? “Fixing” lousy schools is tricky. Keeping great schools great isn’t easy, either. Some argue for more money, for higher teacher pay, for smaller class sizes and for a hundred other things. Greg Abbott is working against a different set of grades — of states and not just of individual schools and districts. Most national public education rankings put Texas in the bottom third among the states. If you want to be an optimist about it, that’s a lot of room for improvement.